This is the first way but not the full determined thing in coaching session. It is used only as the basic framework of thinking about a student’s combination of intelligences that could be his/her potential. In sharing session, each student is going to build a plan for his/her future. It is going to be a lively discussion between the Coach and the student. The plan is going to be monitored, at least, once a month to control the on-going achievement of it. 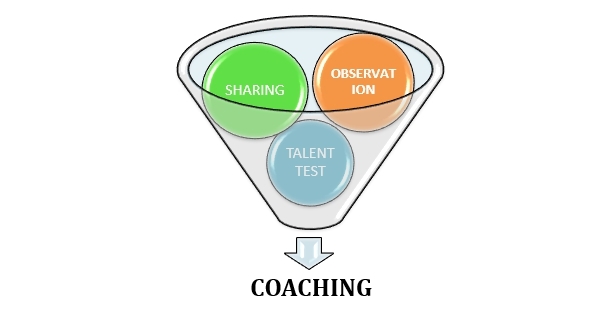 Since no single talent test can have 100% accurate result, we make it only as one of the tools used in coaching session. We use observation as one of the effective tools to see students’ potentials. Every component of school is going to observe every student’s activities in school and discuss it in the teacher’s meeting. So the coach can get more overview to develop every student’s potential. By doing those three things, we believe that we can explore, develop and maintain every student’s potential in Fikar School. Therefore, every student in Fikar School is going to grow well in accordance with his/her potential. Something to be noticed is that in Fikar School, we do not make learning as knowing and memorizing knowledge only. We work to make students internalize knowledge they get from the school. Our teaching – learning methods focus on making students get more actively involved in their learning process. To make it come true we have some pillars that support the learning process in Fikar School. They are our daily classes, religion and character building classes, fieldtrip and outing classes and extracurricular activities.